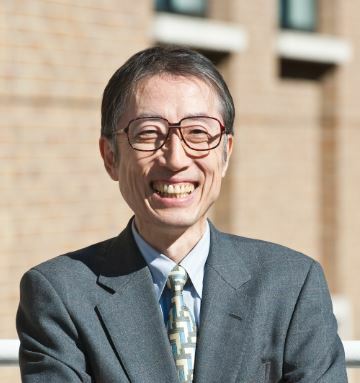 Effective April 2015, the Organization for Regional and Inter-regional Studies (ORIS) is being established, integrating the Waseda Organization for Asian Studies, the Waseda Organization for Japan-US Studies, and the Waseda Organization for European Studies. These three institutions had engaged in specialized research on their respective regions, producing a large number of high caliber studies. However, with the globalization of economy and society, new political-economic problems have appeared which go beyond individual regions. For example, the jockeying between the United States and China over the framework for economic cooperation in East Asia and the Pacific region, objections to Western countries by some Islamic fundamentalist forces, ISIS’s terrorism directed towards established Islamic countries and various Western countries are good representative cases. Furthermore, individual regional research has failed to resolve how to think about these problems, or how to produce a clear answer to resolve the problems. The appearance of this type of new super-regional political-economic problem and the limitations of contemporary area studies is the reason for the establishment of the Organization for Regional and Inter-regional Studies. Upon establishment, ORIS was given a mandate to explore “the possibility of effective inter-regional relationships and co-existence between the nations of Asia, North and South America, Europe, and the Middle East.” Based on this broad agenda, we will engage in two concrete research projects, 1) to examine the way historical processes have formed separate regional [socio-political] orders, including current rules and value systems, 2) to strive to create a shared order in some area, founded by extra-regional rules and value systems, and explore the applicability of the new innovation to other areas in the current context of accelerating globalization. To achieve this goal, the new organization has restructured the three former organizations into the Asian Research Unit, American Research Unit, and European Research Unit, and added the newly established African Research Unit group. Each unit will conduct careful research on the formation of individual regional orders as fundamental research of the “ORIS cooperative projects.” Then, gathering results from each unit, we will advance to the most critical agenda of the cooperative projects, which is to seek a way of create shared order and the possibility of coexistence. Finally, the previous three research organizations, as major interdisciplinary research organizations covering the social sciences and humanities, have produced cooperative relationships with overseas universities and supportive relationship with governmental organizations. Furthermore, research in each of the previous three organizations has established both international and domestic networks. Stepping beyond the previous organizations, the Organization for Regional and Inter-regional Studies aims to become a center for generating and sharing knowledge.